The exquisite necklace for a festive traditional outfit. The beautiful flower pendant frames the portrait of a proud deer. 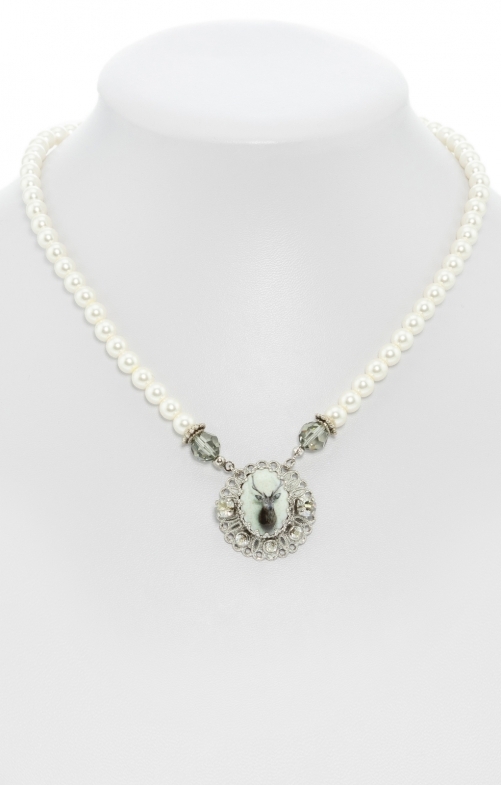 It is held by numerous exquisite shimmering pearls and sparkling crystals. At about 42 centimetres, the chain has just the right length to appropriately decorate and show off a seductive Dirndl neckline.